Last year Burlington High School went “one-to-one,” meaning that they provided a web-enabled device to every student and teacher in the high school. In our case, this device was an iPad. As a foreign language teacher, having browsing availability in every kid’s hands has let me broaden out me lessons in neat ways. For example, when we’re reading the chapter on airplanes, I have them all go to www.despegar.com (the Spanish version of “Orbitz”) and book themselves a roundtrip flight to a country of their choice. Figuring out how to navigate the website itself is an exercise in applied vocabulary, and the kids are really engaged. Other neat things the iPad allows: interactive language learning programs online, creation of student videos (a big hit), and listening to native speaker accents in podcasts, etc. 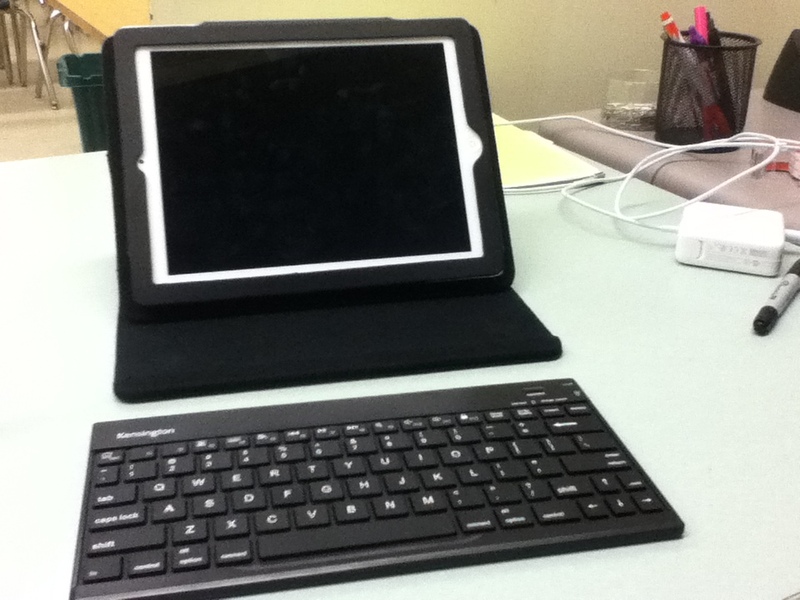 Yay for removable wireless keyboards! The one thing that has driven me crazy about the iPad though, is trying to type on the touchscreen. Never having been a text-er, I am terrible at typing on anything smaller than a full keyboard. Solution? A case with a magnetic detachable keyboard. I have to say: I love it. In the case, it works like a mini-computer. Or I can put the wireless keyboard on my knees and type from there. Also, since the keyboard itself is bluetooth, I can even toss it in my purse, open Dropbox on my iPod (yes iPod) in a café and get some writing done.